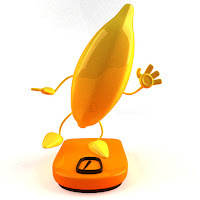 Do you need to lose some weight? Do you like bananas? Do you dislike rigid rules controlling what you eat? If you answered YES to these questions, then the banana diet may be perfect for you. The banana diet began in Japan. It was created by Hitoshi Watanabe and became wildly popular when Japanese opera singer Kumiko Mori said during a televised interview that she had lost 15 pounds in 6 weeks. The price of bananas skyrocketed, and banana scarcity became the norm across Japan. There are two variations on the banana diet. The Morning Banana Diet has, you guessed it, bananas for breakfast. Only bananas for breakfast, but as many as you want. You can then eat whatever you want for the balance of the day. The Banana Diet (without the "morning") features a banana before each meal. You then proceed to eat a small, well-balanced meal that focuses on protein. More bananas, but you do get to eat a more varied breakfast. Both varieties of the banana diet share common elements. They limit your beverage selection to room temperature water. No sodas, alcohol, coffee or tea. You are allowed to have three meals, plus a mid-afternoon snack. In either diet, you can't eat anything within 4 hours of going to bed. All in all, not a lot of "must" or "must not" rules. An interesting component of both forms of the banana diet is that there is no obligation to exercise. In fact, the diet recommends exercise only if it reduces your stress level. If exercising increases your stress, you should skip it. There won't be a lot of banana diet brochures in fitness clubs. So, bananas are widely viewed as wonderful fruits, but how can they help with weight loss? 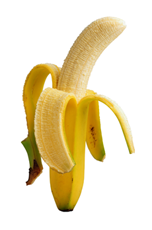 The underlying basis for the banana diet is something called "resistant starch." That refers to starchy fiber that is not absorbed by your stomach or intestines. It takes up room in your stomach, so you feel full, but doesn't convert to calories through digestion. Some research also seems to indicate that resistant starch can increase the rate of fat burning and slow the formation of new fat cells. Is there a down side to the banana diet? Well, you might not actually lose weight, so that could be seen as a down side. There's nothing fundamental in the banana diet that forces you to eat fewer calories than you burn during your day. Some people also worry about all those bananas being harmful to your teeth. 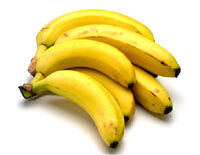 Bananas are sticky, so the fruit sugar can stick to your tooth enamel unless you brush it off. But then, brushing your teeth probably counts as a low stress exercise, doesn't it? Have you tried the banana diet? Did you find it a-peeling (OK, sorry)? Click on the Comment button and go bananas!